Unclutter your space and simplify charging with the Boost Up Wireless Charging Pad 7.5W. Belkin worked closely with Apple to engineer an efficient and high-speed charging pad for iPhone XS, iPhone XS Max, iPhone XR, iPhone X, and iPhone 8/8 Plus, delivering a fast charging speed of 7.5W when running iOS 11.1.2 or later. Just lay your phone onto the pad and go. There’s no need to remove your case, the Boost Up Wireless Charging Pad 7.5W charges through lightweight plastic cases up to 3mm. Belkin worked closely with Apple to design a charging pad for the iPhone. Fine-tuned for iPhone XS, iPhone XS Max, iPhone XR, iPhone X, iPhone 8 and iPhone 8 Plus, your phone won’t overheat or shut down prematurely. 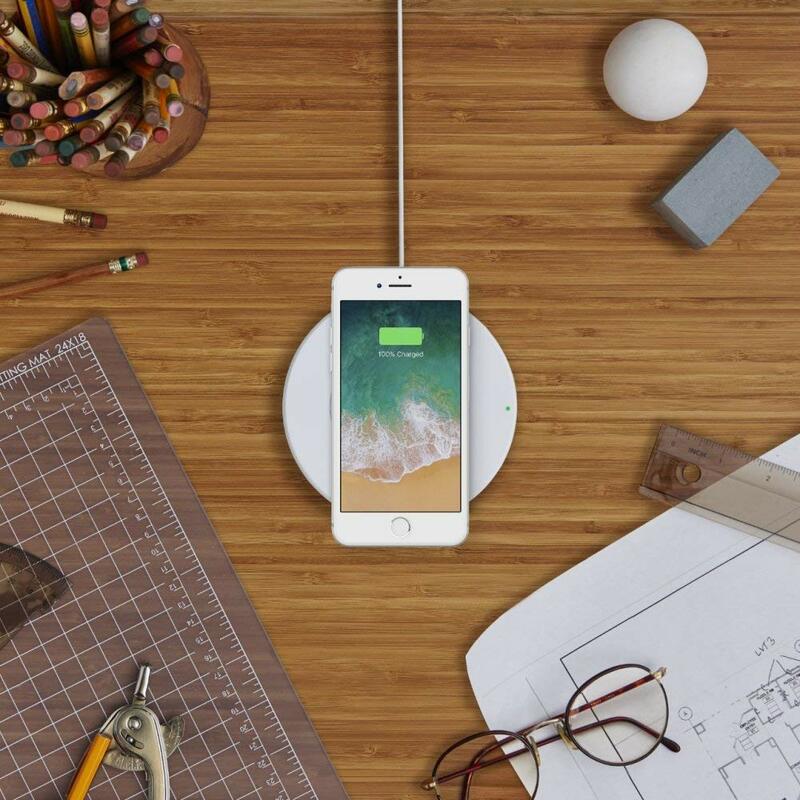 The 7.5W Boost Up Wireless Charging Pad is capable of faster charging output and won’t interfere with other operations of your iPhone.